Keeping up the winning streak, Associated Battery Manufacturers (Ceylon) Limited, Sri Lanka’s renowned and most trusted battery manufacturer, was bestowed with the Best in Class accolade at the coveted Global Performance Excellence (GPEA) Awards, held at Jumeirah Etihad Towers Hotel, Abu Dhabi, United Arab Emirates on 11 December 2018. The Global Performance Excellence Award (GPEA) is a formal international recognition of performance and business excellence. The GPEA is a strategic enabling tool for global performance excellence that helps to strengthen the strategies and performance of organizations to succeed in the fast-evolving global market place. The program is administered by the APQO, which is a non-profit organization that serves as an umbrella group. The APQO body promotes and strengthens awareness in performance excellence, as an increasingly important tool in competiveness towards global business success and sustainability. The GPEA process, which includes an assessment by an international panel of experienced assessors, provides an excellent opportunity for winners of National Quality Awards to benchmark and better understand their opportunities for improvement and performance based on the Business Excellence Model. 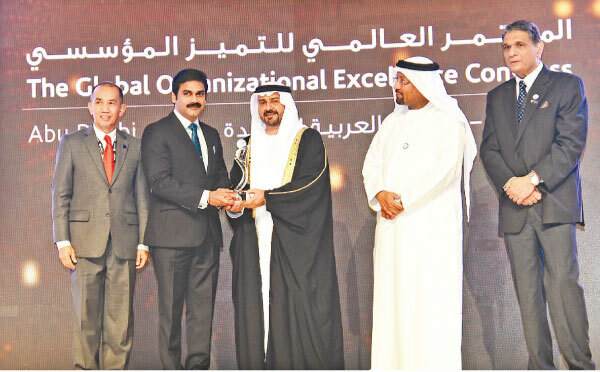 Asia Pacific Quality Organization Inc. President and Global Performance Excellence Awards Chairman Harnek Singh also commented on this achievement, stating: “Winning an award builds recognition for the work you and your team have been doing. The organizations, individuals and teams being honored are all exemplary models of excellence passion and commitment to innovation, productivity and business excellence in the community, industry and region.” Since the company’s inception, ABM has constituted to its Gold standard, with its use of Best in Class ingredients and state-of-the-art manufacturing processes. With dynamic technological advancements in innovation, quality and service, ABM continues to dominate the automotive industry, with ground-breaking products that are tailor-made to delight customers, thus providing novel experiences.